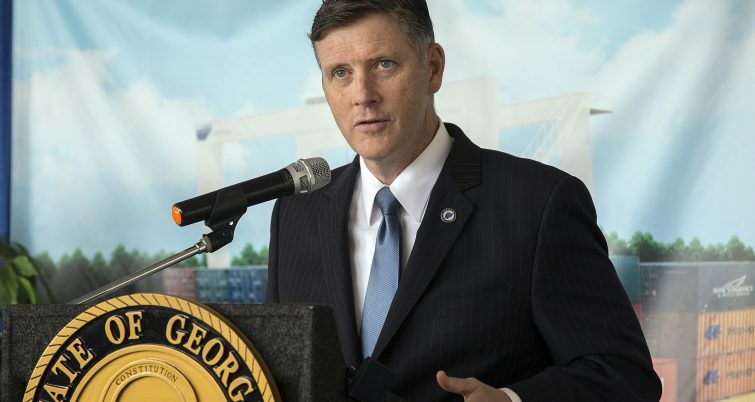 Georgia Ports Authority Executive Director Griff Lynch speaks, Monday, Dec. 3, 2018, in Gainesville, Ga., during an announcement of a new inland terminal near Gainesville, Ga. 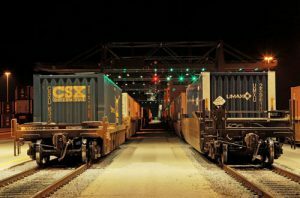 Citing road congestion around Atlanta, the state of Georgia announced it would build a new inland port in Gainesville. 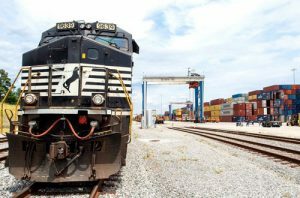 Norfolk Southern Railroad will provide container service on a direct rail route connecting the new port to the Port of Savannah’s Garden City Terminal. 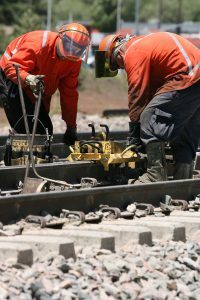 “Georgia Ports Authority’s inland port at Gainesville, combined with Norfolk Southern’s rail service, will provide crucial links in the supply chains of local industries, consumers, and the rest of the world, and serve as a catalyst for new opportunities for industrial development,” said Jeff Heller, Vice President Intermodal & Automotive for Norfolk Southern. 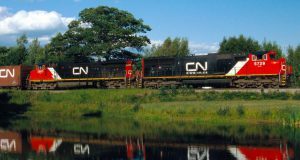 Norfolk Southern will serve the new inland port. Pictured here is a similar operation at South Carolina’s Inland Port Greer. 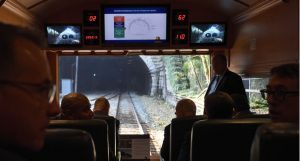 State officials said moving containers by rail to and from Savannah would alleviate some of the famously heavy road traffic around Atlanta. Trucks hauling boxes to Savannah now make a 600-mile round trip along the Interstate 85 corridor. The 104-acre inland terminal will be built in the Gateway Industrial Centre on GA 365. 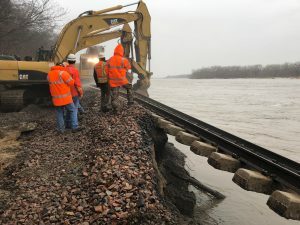 Work is scheduled to be complete in 2021. The port will have the capacity to handle up to 150,000 containers per year. News of the new port’s location was accompanied by an announcement by Auto Metal Direct, a worldwide distributor of auto body panels and trim, that it would open a new 318,000 square-foot distribution and fulfillment center in the Gateway Industrial Centre. The news about Gainesville comes just a few weeks after the state’s port authority held a grand opening for its Appalachian Regional Port Aug. 22.